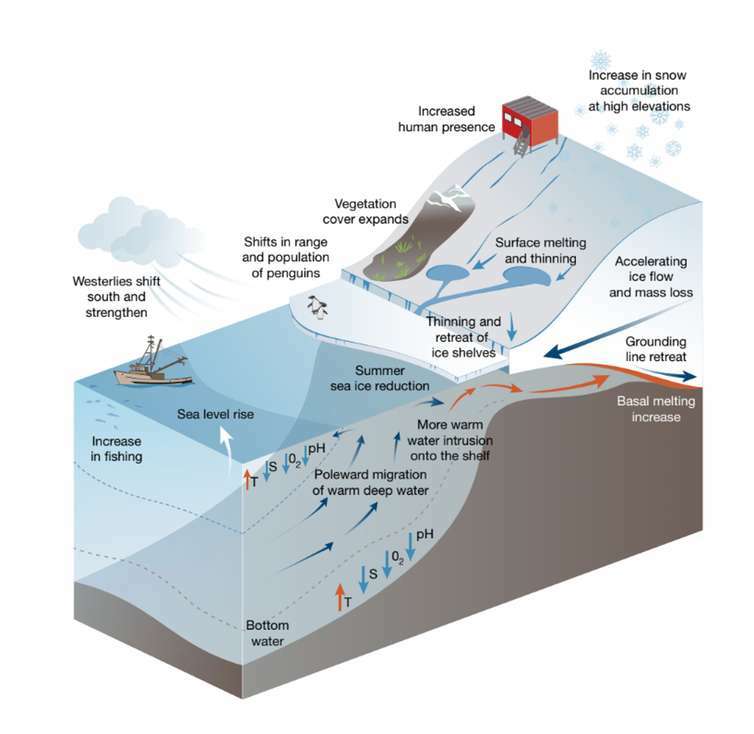 Under the high-emissions scenario, widespread changes occur by 2070 in Antarctica and the Southern Ocean, with global impacts. Rintoul et al. 2018. 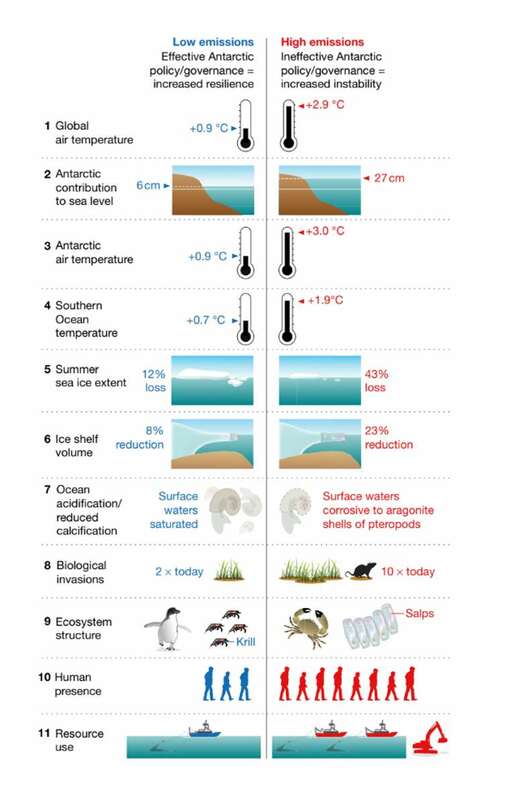 Antarctica and the Southern Ocean in 2070, under the low-emissions (left) and high-emissions (right) scenarios. Each of these systems will continue to change after 2070, with the magnitude of the change to which we are committed being generally much larger than the change realised by 2070. Rintoul et al. 2018.